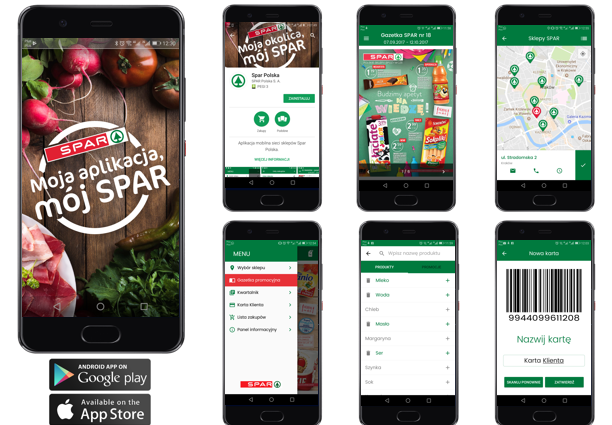 SPAR Poland has launched a new mobile app for both Apple and Android devices, providing customers with an additional sales and communication channel. The app’s slogan, “My App, my SPAR”, is a play on SPAR Poland’s new brand proposition, announced in October called, “My Neighbourhood, my SPAR”. The application makes shopping in SPAR stores even easier. A few taps on one’s mobile phone creates a customised shopping list, which customers can share via e-mail, text or instant messaging. It also gives customers access to current promotions, helping them find the best prices for their favourite products. Another feature of the app is SPAR Poland’s quarterly Ze smakiem (With taste) brochure, which up until now has only been available on the company website and as a print version in SPAR stores. Additionally, as the app works with Google Maps, customers can more easily find the most efficient route to their nearest SPAR store and check opening hours. Further development of the app will include the addition of new tools such as push notifications and bar code scanning.